In 2004 Tiree Maritime Trust commissioned Malcolm Henry a boat builder from the Isle of Skye to undertake a survey of the condition of the remaining Lug sailing boats on Tiree. His report sadly turned out to be the last record of many of the boats. The findings of the survey are summarised below. 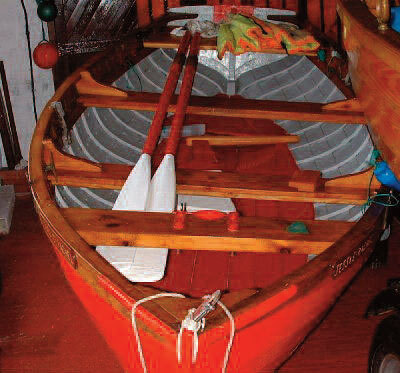 Transom dinghy, length 13’3”, well maintained, in very good condition. Double ender Tiree style, length 17’5”. Built by Evans boat builders in 1998, in excellent condition. Double-ender typical of Tiree, 18’5”. Built by Calum Maclean, in good condition throughout. 14’6”, Transom stern, clinker planking, plumb stern. Condition reasonably sound. 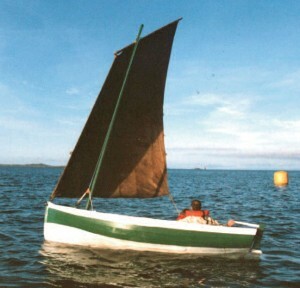 Transom dinghy of Tiree type., 12’11”. Believed to have been built by Calum MacLean. Condition repairable. Transom dinghy built from larch and mahogany, 14’2”, built by MacKay of Ayr. Salvageable. 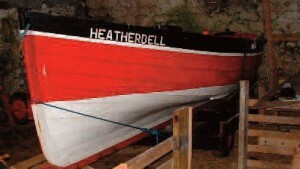 Double ender, clinker planking with plumb stern and sternpost typical of Tiree, 17’7”. Condition salvageable. Double ender. Carvel planking. Fore, side and stern decking, unusual boat for location. 16’2”. In danger of rotting beyond repair. Transom dinghy in Tiree Style. 13’9”. Condition reapairable, but cost may not be justifiable. 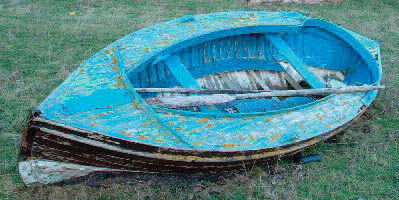 Transom dinghy, 13’7”, built in Harris, beyond repair. In 2004 of the 16 boats surveyed only two were considered to be beyond repair. Five of the boats needed to be action to prevent further deterioration. Eight boats were reported to be in good or excellent condition. 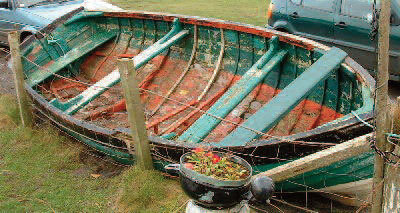 In 2009 as part of the Tiree Boat Revival Project a visual inspection was taken of the remaining boats. Many of them had deteriorated beyond repair. The Tiree Maritime Trust was very kindly gifted three of the remaining Tiree lug-sailing boats, Morag Anne, Daisy and Ros. A group of volunteers working with the Tiree Maritime Trust put together a plan to not only restore some of the remaining lug sailing boats but also to pass on traditional boat building skills to members of the community.